Alfred Binet (July 8, 1857 – October 18, 1911) was a French psychologist and inventor of the first usable intelligence test. Together with his collaborator, Theodore Simon, Binet began his investigations attempting to identify children with special needs in education. They developed their first Binet-Simon intelligence scale in 1905, completing two revisions before Binet's death. Their tests measured performance on a variety of mental tasks, from simpler perceptual-motor skills to more complex tasks requiring memory and reasoning, comparing scores of children to the scores of others of similar age. The result was a measure of the "mental age." Although Binet had described his scale as a classification of individuals relative to others, not an absolute measure of a unitary ability, much research based on his work was carried out in exactly the way Binet warned against, including controversial research used to support racism. Nevertheless, Binet's contribution to the understanding of human mental abilities has been substantial. Alfred Binet was born on July 11, 1857, in Nice, France. He was the only child of a physician father and an artist mother, who separated when he was very young. He was raised by his mother. She moved with him to Paris, so that he could attend law school. Although Binet received his license to practice law in 1878, he decided to follow his father into medicine. Soon, however, Binet became interested in psychology and spent several years reading and studying a variety of books, including those by Alexander Bain, Charles Darwin, and John Stuart Mill. Binet published his first article on hypnosis in 1880, although the article was poorly received. Subsequently, in 1883, Binet took a position in the Salpêtrière hospital in Paris working in Jean-Martin Charcot’s laboratory. At that time, Charcot’s research was focused on hypnosis. Binet was greatly influenced by Charcot, and published four articles on hypnosis and "animal magnetism." Unfortunately, Charcot's work failed to withstand scientific scrutiny and Binet was embarrassed by his support for his mentor. He decided to abandon hypnosis in favor of the study of psychological development. In 1884, Binet married Laure Balbiani. Together the couple had two daughters, Madeleine and Alice, born in 1885 and 1887, respectively. Binet used his daughters to begin his study of cognitive processes. This research involving Madeleine and Alice assisted Binet in understanding the concepts of suggestibility and attention, and led him to the study of personality differences and the measurement of intelligence. Over the next two decades, Binet published prolifically in the field of psychology. In 1892, he was awarded a doctorate in natural sciences from Sorbonne. Binet became the director of the laboratory of physiological psychology at the Sorbonne in 1894, and it was there where he met Theodore Simon, who began doing doctoral research under the supervision of Binet. 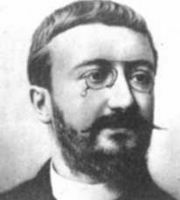 Binet founded the first French journal of psychology, L'année psychologique, in 1895. Impressed by the work of Francis Galton in developing standardized tests to measure individual differences, Binet adopted this approach in his work. He published an article in 1903 based on the results of standardized tests he used on his daughters. Binet and Simon began work on a test that would determine if children had problems in learning. The result of this work was the Binet-Simon intelligence scale. The final revision of the intelligence test he and Simon developed was published in 1911. However, Binet died before this revision was completed. Although Binet published widely and prolifically in psychology, beginning with his ill-fated work in hypnosis, and continuing with experimental studies in various aspects of cognition, it is his work developing intelligence tests for which he is best known. In 1894, Binet conducted one of the first psychological studies into chess. It investigated the cognitive facilities of chess masters. Binet hypothesized that chess depends upon the phenomenological qualities of visual memory, but after studying the reports by master participants, it was concluded that memory was only part of the chain of cognition involved in the game process. The players were blindfolded and required to play the game from memory. It was found that only masters were able to play successfully without seeing the board for a second time and that amateur or intermediate players found it to be an impossible task. It was further concluded that experience, imagination, and memories of abstract and concrete varieties were required in grand master chess. In 1904, the French government asked a psychology group to develop an assessment test to identify special needs children. In 1905, Binet and Simon created a test called the "New Methods for Diagnosing Idiocy, Imbecility, and Moron Status." The test included multiple tasks that would determine the ability of children based on the child’s age. One of the easiest tasks on the test was to follow an object with one's eyes; one of the more challenging tasks was to repeat a long sequence of random numbers from memory. It seems to us that in intelligence there is a fundamental faculty, the alteration or the lack of which, is of the utmost importance for practical life. This faculty is judgment, otherwise called good sense, practical sense, initiative, the faculty of adapting one's self to circumstances. A person may be a moron or an imbecile if he is lacking in judgment; but with good judgment he can never be either. Indeed the rest of the intellectual faculties seem of little importance in comparison with judgment (Binet and Simon 1916: 42–43). Yet Binet was always aware, since his early studies of his two daughters, that intelligence is not a simple quantitative measure, but rather exhibits remarkable diversity. Binet and Simon originally used their test on a sample of 50 children who performed at an age-typical level. In order to score the test, they would rate the child’s performance in comparison to the performance of other children who were age-typical. For example, a 15-year-old who completed all the tasks that other 15-year-olds completed, would have a mental age of 15. Likewise, if a 15-year-old completed all the tasks that 18-year-olds completed, that 15-year-old would have a mental age of 18. By 1908, Binet and Simon revised their intelligence scale because they believed intelligence increased with age. The new test included a mental age compared to chronological age. I have not sought in the above lines to sketch a method of measuring, in the physical sense of the word, but only a method of classification of individuals. The procedures which I have indicated will, if perfected, come to classify a person before or after such another person, or such another series of persons; but I do not believe that one may measure one of the intellectual aptitudes in the sense that one measures a length or a capacity. Thus, when a person studied can retain seven figures after a single audition, one can class him, from the point of his memory for figures, after the individual who retains eight figures under the same conditions, and before those who retain six. It is a classification, not a measurement…we do not measure, we classify (Varon 1936: 41). Because Binet was never formally trained at a university, his work in intelligence is considered extraordinary. The Stanford-Binet IQ test, based on Binet's work and still bearing his name, has continued to be used widely long after his death. Binet consistently warned that intelligence could never be accurately determined by a single test. Additionally, Binet emphasized that intelligence is subjective; a person may score significantly above average in one area of the test but fail in another area. Binet also argued that individuals learn at varying rates, and that people could be influenced by outside factors such as their peers. Brought to the United States by Lewis M. Terman, Binet's scale was renamed the Stanford-Binet test, and scores were calculated as an intelligence quotient (IQ). In this form, it was used in the exact manner that Binet advised against. Children of various racial and economic backgrounds were compared with one another, and the results of the test were used to make generalizations about groups of people. This type of work became extremely controversial, particularly when difference races were compared, culminating in publications such as Arthur Jensen's work, published in February 1969 in the Harvard Educational Review entitled "How Much Can We Boost I.Q. and Scholastic Achievement?" and the controversial, best-selling 1994 book, The Bell Curve, by Richard J. Herrnstein and Charles Murray, which explored the role of intelligence in American life. Such controversial applications notwithstanding, Binet's work in the development of the "IQ test" has proved remarkably long-lived, and the research it has generated has greatly advanced our understanding of human intelligence. Binet, Alfred. 1887. Perception intérieure. Binet, Alfred. 1888. Etudes des psychologie expérimentale. Binet, Alfred. 1892. Les altérations de la personnalité. Binet, Alfred. 1894. Introduction à la psychologie expérimentale. Binet, Alfred. 1896. On Double Consciousness. Binet, Alfred. 1898. La fatigue intellectuelle. Binet, Alfred. 1899. La psychologie du raisonment; Recherches expérimentales par l'hypnotisme. Binet, Alfred. 1900. Les idées sur les enfants. Binet, Alfred. 1900. La Suggestibilité. Binet, Alfred. 1903. Etude expérimentale de l'intelligence. Binet, Alfred. 1905. L'âme et la corps. Binet, Alfred. 1906. Les révélations de lécritique d'après un contrôle scientifique. Binet, Alfred. 1907. Les enfants anormaux. Binet, Alfred, and Theodore Simon. 1916. The Development of Intelligence in Children. Arno Press. Pollack, Robert H. 1969. The Experimental Psychology of Alfred Binet. Springer. Varon, Edith J. 1936. "Alfred Binet’s concept of intelligence." Psychological Review 43: 32–49. All links retrieved March 4, 2016. This page was last modified on 4 March 2016, at 17:37.